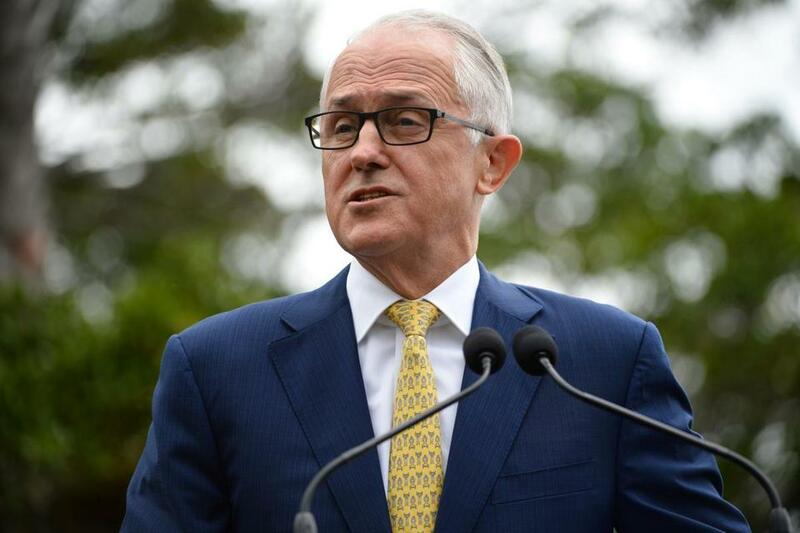 Australia&apos;s Prime Minister Malcolm Turnbull told reporters Saturday that he was “very pleased” President Trump confirmed new US tariffs of steel and aluminum would not apply to Australia. BRUSSELS — The Trump administration’s rollout of new tariffs on steel and aluminum imports has left countries confused about whether they can win exemptions, but Australia seems to have accomplished it with a phone call from the country’s prime minister to President Trump. Trump last exempted Canada and Mexico from the duties — 25 per cent on steel and 10 per cent on aluminum — and said US allies would have 15 days to negotiate possible exemptions. That triggered a diplomatic push from Australia, including a letter to Trump signed by business leaders and former Australian golfing great Greg Norman, a Trump supporter and friend, the Associated Press reported. It buys about 60 percent of its military assets from the United States, allows Marines to rotate through Darwin every year, and swaps intelligence with Washington. In Brussels on Saturday, US trade representative Robert Lighthizer met with his European Union and Japanese counterparts, but the meeting offered little new clarity amid fears of a global trade war. The meeting, which was planned before Trump’s Thursday trade announcement, was Europe and Japan’s first chance to press their case for an exemption to the tariffs. Trump said Thursday that countries with a ‘‘security relationship’’ with the United States could ask to be excluded. But the Saturday meetings in Brussels, the capital of the European Union, appeared to be inconclusive. ‘‘I had a frank discussion with the US side about the serious pending issue of steel/aluminum tariffs,’’ the top EU trade official, Cecilia Malmström, wrote on Twitter after the meeting. Lighthizer made no public comment after the meetings with Malmström and Japanese Trade Minister Hiroshige Seko, which lasted several hours. The EU is also readying a list of countermeasures targeting about $3.5 billion in annual trade. Many of the measures would raise tariffs on US products from politically-sensitive areas, such as the home districts of congressional leaders, and range from motorcycles to bourbon to peanut butter. It remains unclear how hard it would be for the European Union to win an exemption. After exempting Canada and Mexico, Trump appeared to add Australia to the list Friday, which led to Turnbull’s announcement. Trump cited national security concerns as the legal basis for the tariffs, a permissible reason under WTO rules. But EU leaders, most of whom are also NATO allies, say the argument is illegitimate because even during crisis they could still be expected to be reliable sources of the materials. Instead, they said, Trump is bolstering domestic industries in violation of international trade rules. ‘‘We are living in historic times of unraveling,’’ he said.